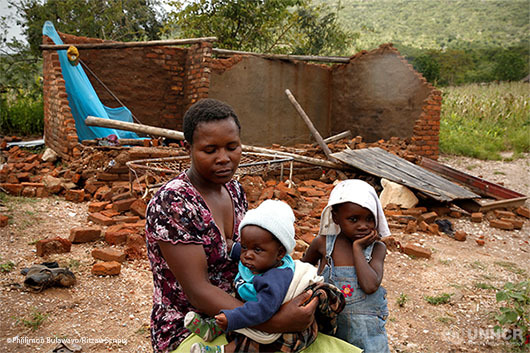 A devastating cyclone has left thousands of refugees in Zimbabwe without shelter. And tragically, this number is expected to rise. UNHCR is already on the ground relocating refugee families to safer shelters. Support from people like you is helping mobilize emergency supplies like family tents and plastic sheeting to keep families safe and dry. But more help is urgently needed. By becoming a monthly donor, you can help rush critical supplies like medicine, clean water, food and tents to desperate children and families. Your tax-deductible gift will save lives during emergencies when people desperately need your help. People are in urgent need of assistance. Help them now by making a donation today. Every second counts.